Crowded beaches and congested airports, all factors in a typical vacation that makes us a little apprehensive to book that flight and take the time off. What if you could find the ultimate escape, without sacrificing the luxury and service of a resort? Let me offer a suggestion. Isla Mujeres, an island town a short distance off the northeast coast of the Yucatán Peninsula in the Caribbean Sea, about 13 kilometers (8.1 mi) northeast of Cancun, is a perfect getaway from the stresses of everyday life. There are ferries that transport you to this paradise from the main land, running every 30 min during the day. Isla Mujeres offers great activities from scuba diving, snorkeling, swimming with whale sharks, shopping, dinning, as well as various locations to visit. There are two marine parks on the southern end of the island, Garrafon and Garrafon de Castilla. There is also a turtle park that is open to the public, where vacationers can take part in releasing the new born sea turtles into the Caribbean Sea once they have reached the health to survive on their own. Isla Mujeres also offers another attraction that pulls you back in time, the Mayan ruins on the southern cost of the island. This temple, dedicated to the Mayan goddess of the sun and moon and patroness of pregnant women, Ixchel, attracts visitors and offers a taste of the rich history and culture this island get away has to offer. One of the most impressive things Isla Mujeres stands to offer is an embrace of luxury felt through the Castillo Del Candelabro, “The House of The Chandelier.” This gorgeous beach vacation rental property is a home away from home, and boasts impeccable furnishings and sumptuous designs throughout the expanse of its 5 bedrooms, and 4 bathrooms. This inspiring home looks out over the Caribbean Sea offering an infinity pool and a guest home that will comfortably suit a group without asking them to sacrifice comfort. Bask in the sun and enjoy the Caribbean breeze as you experience the ultimate feeling of arrival. Start planning your vacation today! Contact the owner of Castillo Del Candelabro today – click HERE to submit a rental inquiry. “They also want King size beds,” Dawn adds, “and views.” And if you’re vacationing in Destin, Florida, how could you not want views once you’ve seen Destin’s almost blindingly white sand in bright contrast against the clear turquoise ocean? “Members of Destin’s Chamber of Commerce collect little bottles of sand from wherever they visit and Destin’s is the whitest,” explains Dawn. ”It literally squeeks when you walk on it because it is so fine and powdery.” It’s not just local bias that makes the sand seem so white and sparkeling. The sand comes from the Appalachian Mountains, and is made of finely ground quartz crystal, which gives it the appearance of sugar. 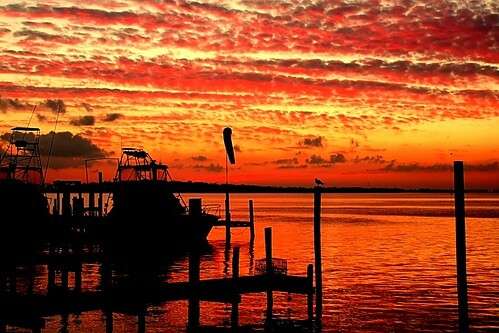 But there is much more to Destin than the white sand and teal ocean. Destin is home to virtually every water sport and activity imaginable. The water is consistently warm with temps reaching 86 degrees in October. Vacationers can go boating, parasailing, jet skiing, or snorkel with some of the local marine life including manatees, dolphins and sea turtles. You don’t even have to take a charter out of the harbor to find a great snorkeling location. Dawn offers this local’s tip: snorkel on the jettys off of Gulf Shore Drive on Holiday Isle, where you can park for free and walk down to the water. For other activities, there are dozens of golf courses, the Big Kahuna waterpark, the Gulfarium (“A cute mom and pop type aquarium that is popular with kids and families” according to Dawn) or the Harbor Docks in downtown Destin, offering free parking and a variety of specialty shops, restaurants, ice cream parlors – a great place to rent boats and snorkeling equipment. Destin is also known for its great dining and shopping. On the East end of town there is the Silver Sands Outlet Mall, the largest designer outlet mall in the US, and in Mid-town Destin is the newly built Destin Commons, which is home to a Hard Rock Cafe as well as a 14 screen cinema and other retail shops. The Baytowne Wharf in Sandestin, a bustling sub-community of Destin, has lots of shops and it is a great place to take the family or head out to for a night on the town. At Christmas they even bring in an ice skating rink and put up lights! Ciao Bellas – they have the best pizza! Destin’s peak season runs from the end of May through the first part of August but “the luckiest fishing village in the US” as Destin is also known, hosts one of its main annual events in October – the annual “Fishing Rodeo” where the person with the largest catch nets $100,000 in prize money! What keeps people returning to Destin year after year for a great vacation spot? Destin has managed to maintain this small-town feel, yet is only 55 miles from the Spring Break-type of vacation one can find in either Pensacola, Florida and Panama City, Florida. And the sluggish economy hasn’t hit Destin as hard as other popular vacation destinations – perhaps due to its central location on the Froida panhandle, making it easy to get to on not too much gasoline from southern Florida, and the neighboring states of Louisiana, Mississippi, Alabama and Georgia. Destin is about to get much more accessible thanks to the addition of an International Airport that is already in the works for Destin, set to be completed by Summer 2010. “a comfy air conditioned ferry ride later, we’ve arrived at what some say is the most beautiful island in the world: phi phi don. you probably will recognize it from pictures, the twin bays, and it’s sister island phi phi leh, is the famous beach of the movie the beach. beautiful it is, but crowded as well. everyone always wants a piece of paradise. more lounging, swimming, snorkling, and then we experienced our first monsoon rain. it’s the beginning of the season. a quick bucket of a downpour, and then steamy afternoons. a beautiful island, you can see in the pics, unbelievable water colors and cliffs. after one night and two days, we headed onward to phuket. here it’s a vacation away from our vacation. lovely house, scooters for all, and for jeff and i, we’re so familar with the area, it’s like the comfort of coming home. some more monsoons, swimming, shopping, and always eating and drinking, we’re closing in on indonesia. jeff is so ready, he’s more than ready. so here we come! first a stop over in malaysia for a few days to take care of our indo visa (in order to stay 60 days, you have to prearrange it) and then we arrive in bali and let the surfin begin. mom cruisin down the highway! 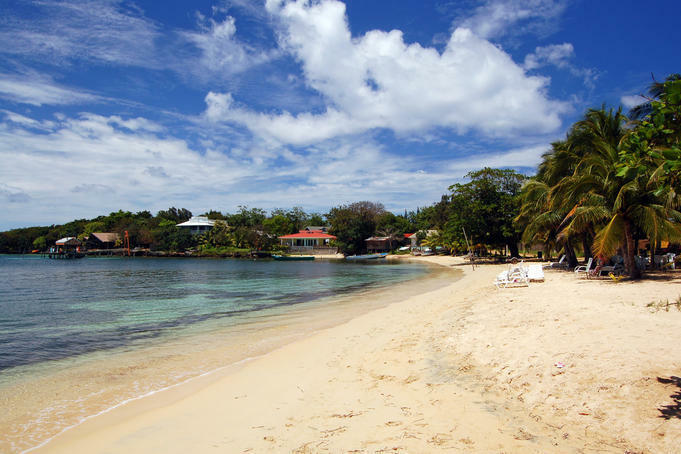 Bluefields Bay, Jamaica is a breathtakingly gorgeous and highly secluded vacation spot in Jamaica. 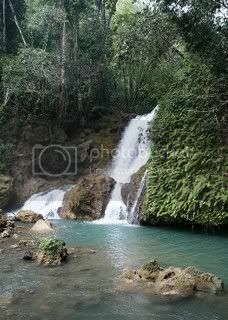 It is sixty minutes away from Montego Bay and forty minutes away from Negril. Because of its untouched beauty and exclusivity, it is an ideal getaway spot and it is perfect for hosting weddings, dinner parties, important family events or birthdays, or any special occasion. The spectacular venues that can accommodate up to forty-two people overlook the Caribbean Sea and hosting an event in one of the venues would be a private and memorable occasion. A must-see sight in the western part of Bluefields Bay is the Paradise Park which is a serene, 1000 acre private estate. Anyone that has been to Paradise Park will bear testimony that its name is an accurate reflection of its nature. The park is mainly a cattle and dairy farm located on a tropical savanna with flourishing, grassy fields and colorful flowering trees and shrubs. You can take a tour at the park which takes about an hour and a half and then explore the paths of the topical forest, swim in the blue waters of the bay, picnic in the park, or just seep in the serene, soothing atmosphere. The park is enjoyable at any time of the year; make sure that you are dressed casually and comfortably. Bluefields Bay offers a wealth of activities for tourists that include snorkeling, deep-sea fishing, sea kayaking, playing water sports, scuba diving, golfing, horseback riding, going to beaches, and hiking along the beautiful trails of the Bay. There is also a vibrant culture of drinking, dancing and dining that you can explore—over the weekends, you can visit one of the indigenous reggae bars or the lively clubs in Negril and have the opportunity to mingle with the locals of the town. There are also many traditional Jamaican restaurants in Bluefields Bay that are worth visiting. Incidentally, you can eat world-class food cooked by a renowned chef at your own villa! A tour of historical sites would be very interesting because Bluefields Bay has a rich past having been occupied by the English and Scottish colonists. It goes without saying that a trip to Bluefields Bay will be a very enjoyable, relaxing and memorable experience for you. North Captiva – Vacation with the Manatees! It is typical during the summer months to see manatee in the water surrounding North Captiva. Typically I have seen them in the canal near the runway. I have gathered some information about The manatee for you. Belonging to the Sirenia order of mammalians, manatees are the common name for a large, gray or black air-breathing water mammal. Sometimes called a “sea cow,” the manatee looks somewhat like a hippopotamus. Adult manatees have large bodies averaging ten feet in length and weighing between 440 and 1300 pounds. Manatees have a small head with a straight snout having a bristly moustache on the upper lip. Paddle-like forelimbs are used to move through the water. Manatees live in fresh, brackish, or salt water and roam with small herds somewhat like a family. Six to eight hours a day is spent grazing upon seaweed and other marine plants. Their slow metabolism reduces the energy requirements, thus they move slowly through the water. Because of their size, manatees have few natural enemies. While you are on your vacation in North Captiva, there are many water activities to enjoy including swimming, snorkeling, jet skiing, fishing, taking boat tours and diving, just to name a few. You may even get to see a manatee! The beautiful Abaco Island, also called “the top of the Bahamas,” is located in the northernmost portion of the country. The south of Abaco Island is comprised of a group of small islands and settlements including Casuarina Point, Elbow Cay, and Little Harbor. Each settlement is worth exploring because of its uniqueness. However, all the islands share the beautiful warm weather year-round and spectacular views. Vacation homes are popular among tourists as they capture the true essence of the island and make you feel at home away from home. Casuarina Point is a small, exclusive settlement that is located on the breathtaking beach. The beaches are usually secluded and they are perfect for couples and also for families to spend private, quality-time with each other. 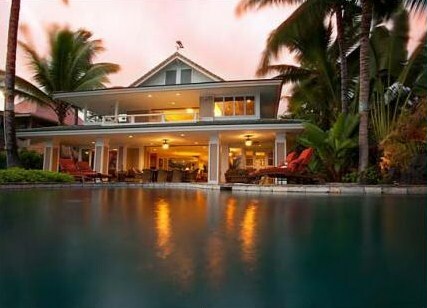 Luxurious beach houses are ideal for family reunions and for couples looking for a getaway. At the beach, this is right outside your doorstep, you can enjoy gorgeous views of sunrises and sunsets, have privacy in a serene atmosphere, and observe the tropical landscape. You can also indulge in snorkeling, fishing, scuba diving, and fishing. Elbow Cay is a nice island that stretches to the renowned Tahiti Beach. You can go to restaurants and bars that you can reach by rented boats of golf carts. Little Harbor is a laid-back, tranquil community of South Abaco Island. 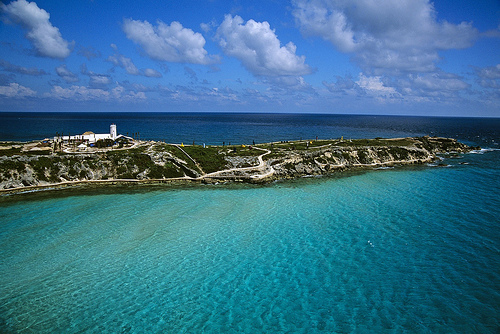 It has a captivating deserted lighthouse that you can explore. The beautiful sandy beach along the community has a number of boats and great rock cliffs to observe. Little Harbor is a haven for people that like to fish and it is also a perfect idea for bone-fishing. You can turtle watch which is an enchanting experience as the serene waters are replete with sea turtles. The different communities of South Abaco Island make fantastic vacation destinations. 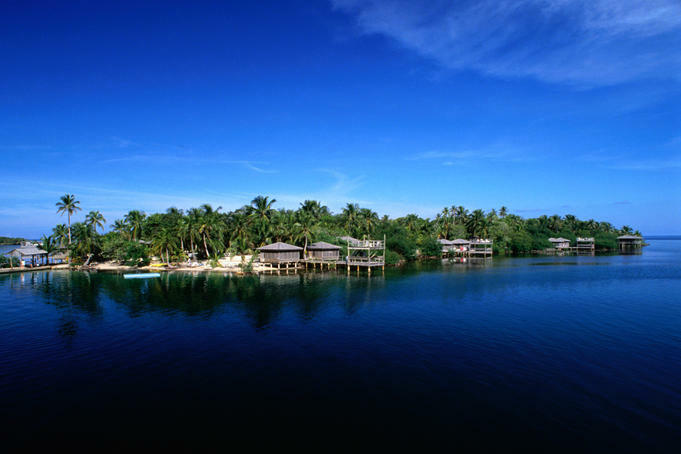 At Elbow Cay, you can visit nice restaurants and enjoy Tahiti Beach. Casuarina Point is a little taste of paradise with its privacy and pristine beauty. While staying at a beach house in this beautiful location, you will feel as if you are on your own island! Party with Brazil’s own Morro de Sao Paulo! Morro de Sao Paulo (St. Paul’s Hill) is just about as good as it gets when it comes to a laid back vacation destination. And while the island is not far from easy-to-get-to locations like Salvador, the small town has no cars and a much slower-paced lifestyle despite its popular nightlife. The village of Morro de Sao Paulo is known for its grand festas. Hotels, pousadas, and restaurants that line the sandy path of Rua Caminho das Praias or Beach Road. Stop in any of the restaurants and try the fresh local cuisine or a raska – Brazil’s favorite cocktail made from local tropical fruits, sugar, crushed ice and a splash of vodka. Each restaurant will have their own take on the drink so try a few and find your favorite! The Northeast coast of Brazil is famous for its beaches and Morro de Sao Paulo has arguably the best…so good that the beaches have no names as the natural beauty speaks for itself. Merely named ‘first’, ‘second’, ‘third’ and ‘fourth’ each beach has its perks. Summer homes that have long been located on First Beach now serve as pousadas or “inns” for surfers and other vacationers visiting from all over the globe during Brazil’s winter (America’s summer) months. This is the best time to visit as the population of the town nearly doubles during the Brazilian summer – North American winter. First Beach’s offers the most consistent waves to surf on, crystal-clear waters and is also home to most of the seaside restaurants. Note: Like everything else, Brazil likes their food spicy! If you’re not a fan, make sure you order it mild! This beach is also where you will find the tirolesa, or zipline, that runs from a lighthouse up on one of the morros, or hills, down to the beach – definitely something to try! If you’re looking for excitement, head down to Second Beach – the party beach! Bring your camera for a perfect photo op as you wind down Second Beach’s staircase – it offers amazing views of several of the island’s beaches and the sparkling ocean. Brazilian “Luaus” take place along the beach every Saturday and nightly during the weeks leading up to Brazil’s Carnaval festival. Since the parties often last into the morning, steer clear of Second Beach if this isn’t your scene. However, Second Beach is more than a party – one of Brazil’s most famous cultural arts, Capoeira, is preformed here every evening. With the setting sun as the backdrop for this acrobatic martial art, you will not want to miss this! Ask around for performance locations or simply follow the crowd! Attention divers – on Third Beach you’ll find more pousadas and restaurants and less crowds as the beaches tend to get progressively quieter. You’ll also find Caita Island, a large barrier reef just off of the shore (with up to 15 meter visibility!). Rent a a kayak, snorkeling gear or dive gear and head out – the island is right off the beach! 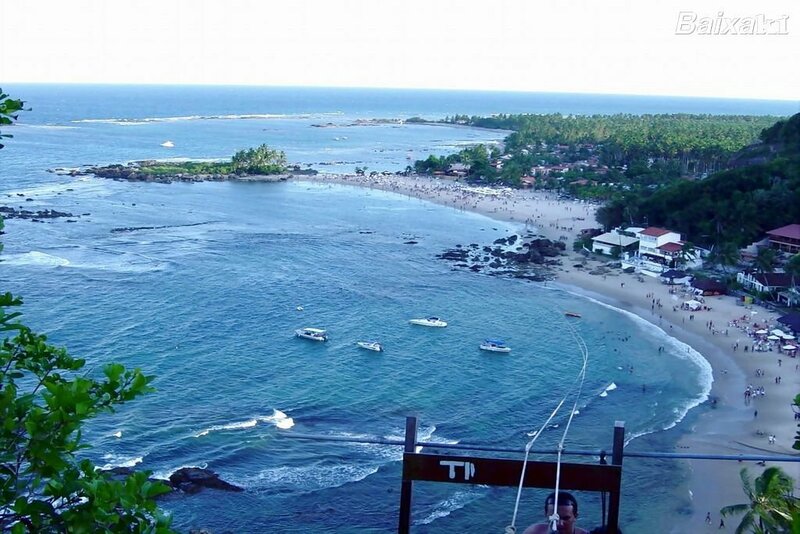 Fourth Beach is the largest of Morro de Sao Paulo’s and is another reef beach. It is the quietest of the four beaches making it the perfect place to laze under a palm tree, watch for jumping dolphins in the ocean and listen to the sound of the waves while sipping a roska. 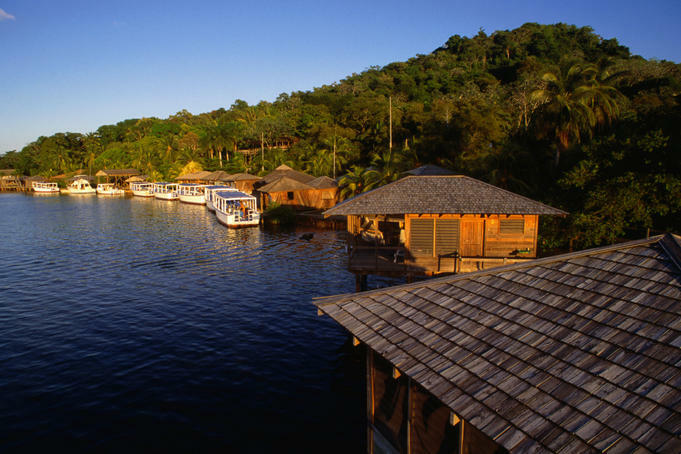 Snorkelers and divers will find an assortment of coral and some of the brightest colored fish in all of Brazil. With 4 amazing beaches to choose from, a rich marine life, a variety of water and beach sports to partake in and local “must see’s” such as the Old Fort Ruins and Morro Lighthouse, make Morro de Sao Paulo your next south-of-the-boarder vacation! Akumal is a hidden jewel that will keep you coming back year after year once you discover it! The most distinct attribute of this wonderful community is that its serene, tranquilizing atmosphere provides miraculous tropical therapy for the soul. Akumal is a small beach-front community located about an hour and ten minutes south of Cancun in Mexico. Akumal has a variety of stunning beaches, fun bars, and enjoyable activities. Tourists of this area have found that renting beach houses, rather than paying top dollar to stay in hotels, allows them to immerse themselves into the local community, rather than looking from the outside in. 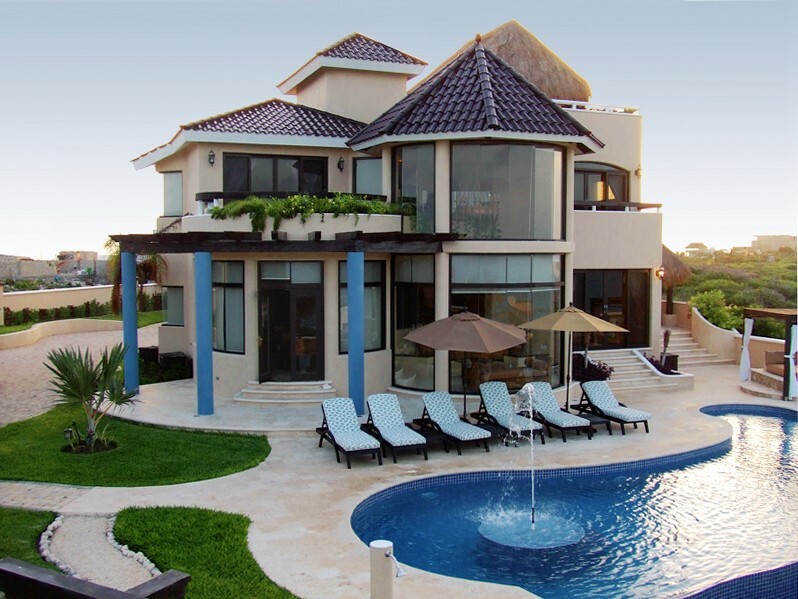 Renting a house or villa also allows for a private and homey vacation experience! Akumal is known for the beautiful sandy white beaches where you can enjoy palm trees, the sun, surfing, snorkeling, diving, and feel as if you are in heaven! Akumal, located on the Mexican Caribbean coastline of the Yucatan Peninsula, has six distinct bays: Central Akumal, Akumal Beach, North Akumal, Jade Beach, South Akumal, and Aventuras Akumal. Central Akumal, established by Don Pablo Bush, is the original Akumal Bay; you can shop, go to restaurants, bars, and enjoy the beautiful beach. La Buena Vida, or the Good Life, beach bar in North Akumal is one of the most romantic spots of this community. Pick up a bottle of wine and enjoy it with your sweetheart in this surreal location! The waters of Akumal have an abundance of tropical fish and coral gardens; hence it is an extremely popular destination for divers. Akumal’s reef, known as the “jewel of the Caribbean,” is part of the Mesoamerican Reef that stretches along the Yucatan Peninsula. The reef has a multifarious variety of species of coral, fish, flora, and reptiles. In addition, snorkeling is a popular activity in Akumal’s beaches as well. 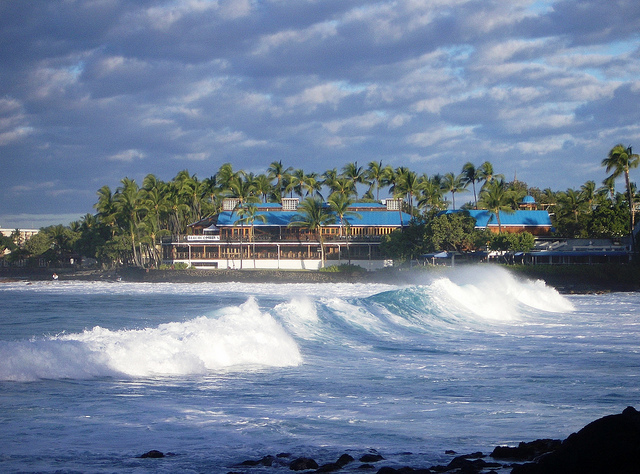 Walk out your beach vacation home and enjoy snorkeling any time! Moreover, Yalku lagoon, a series of lagoons leading out to the sea, is another distinct characteristic of Akumal. Its serene waters are perfect for swimming and snorkeling. Many also travel here for its great bird-watching – observe a great variety of beautiful birds in Yalku while taking in a vibrant sunrise! Akumal has many delicious restaurants that serve traditional Mayan food, fresh seafood, Italian food, and typical American food. The community has wonderful, indigenous shops that sell folk art, handcrafted jewelry, and traditional clothing. Markets sell fabulous Mexican pottery, blankets, hammocks, and fresh fruits and vegetables. Besides the exquisite waters, Akumal offers a variety of exciting things to do and places to see. The famous, historic city of Tulum is only 19 miles south of Akumul. Tulum is a spectacular city that has archeological sites where you can see the Mayan ruins – a must-see for vacationers of Akumal! Akumal is a spectacular town that promises an unforgettable experience. After one trip to this paradaisical location, you will keep coming back for more! Cancun, a coastal city on the Yucatan Peninsula, is the most popular vacation spot in Mexico. The city attracts four million tourists every year and an average of 190 flights daily! Anyone is bound to have a great time in Cancun because there is something for everyone in this exciting city. Vacationers can enjoy the stunning white-sand beaches, play water-sports, eat exquisite food, enjoy the buzzing nightlife, shop, and observe the rich culture and history of the city. Cancun’s has a superb tropical climate that is characterized by mild weather year-round makes it even more attractive for tourists. While you are visiting Cancun, explore the many and varying beaches. The beaches on the north side, including Playa Las Perlas, Playa Linda, and Playa Tortugas, have serene waters that are ideal for surfing, sailing, underwater diving, boat trips, and swimming. To the east are more beautiful beaches, including Playa Marlín, Playa Ballenas, and San Miguelito, which generally have stronger currents and produce giant waves. Whether you are a diver or a snorkeler, the clear water of Cancun is home to a variety of beautiful fish. Scuba diving is extremely popular in Cancun because the city has clear, shallow waters and a superb coral reef. The most popular and exciting reefs to dive are Banderas, Chitales, and El Bajito and San Toribio, San Miguel, and Aristos for the experienced divers. Cancun has many diving centers, including Scuba Cancun, Cancun Scuba Diving, and Manta Divers, that offer safe dives for everyone. Parasailing is also a popular activity at the beaches and perhaps the best way to view the coastline – the rider is strapped into a colorful parachute and, once airborne, is led over the sand and surf behind a speed boat. Sailing and windsurfing is offered as well. The small boats provide enthralling rides especially in a brisk breeze. Enjoy deep sea fishing and have the opportunity to fish Barracuda, Gruper, Red Snapper, and Sailfish on an air-conditioned yacht! All of these activities are readily available and easy to find – simply step out of your vacation rental and see where the day takes you! Chichen Itza is another must-see for vacationers of Cancun – it is one of the modern wonders of the world and rightly so…its exceptional architectural beauty is bound to leave you in awe! El Mexicano Restaurant features a live Folkloric Show, a mariachi band, and a folkloric ballet every night, in addition to delicious food and an exceptional ambiance. The Ballet Folklorico de Cancun at the Cancun Convention Center has a fantastic dinner show and features music and dances from all parts of Mexico. Cancun’s buzzing nightlife has been entertaining the masses for years! Missed out on your spring break or just looking for a repeat performance? The Cancun Party-Hopper Tour offers an exciting evening! Skip the lines and be treated like a VIP during this tour – enjoy the lively atmosphere and dance the night away! Cancun has it all! Historical wonders, adventurous activities, cultural dining and crafts, and a nightlife to be reckoned with! It is one of the most exciting cities for a vacation as you will never run out of things to do! Visit Cancun and have the time of your life! I’m not talking about the creepy kind of swimming with the fishes that you hear about in old mob movies where some poor guy’s feet have just been coated in cement and he’s about to be offed and tossed overboard. Eeew. No - I’m talking about the whole “one-with-nature” kind. You know…where you get to swim along side whale sharks, or interact with dolphins, or even where you can watch a group of sharks feed. Maybe this sounds weird to some people, but I’ve always loved animals, especially sea animals. My favorite show used to be Flipper, I have an adopted manatee named after me, and I only eat dolphin-safe tuna. Known as the “cow of the sea,” manatees are large, gray mammals with bodies that taper to a flat, paddle-shaped tail. They have two flippers and their head and face are wrinkled with whiskers on the snout. Manatees are gentle herbivores and live in the warm shallow waters off of the coast of Florida during the winter, but are known to travel to Alabama, Georgia and South Carolinain the summer. Manatees are slow-moving by nature and surface throughout the day making them vulnerable to boat propellers. Many operations that offer manatee tours donate a portion of their proceeds to wildlife preservation organizations that help to protect these peaceful creatures – these are the only ones you should support as there are other business who add to the problem, rather than trying to educate about manatee preservation and protect against further harm to the species. You can also adopt a manatee or donate money to help research, education, and conservation programs that promote protective legislation. I’m sure you’ve seen the pictures of divers swimming next to sharks that look about as big as a school bus, and thought to yourself, “um, hasn’t this guy seen Jaws? !” Well lucky for him, though these enormous creatures (they can grow upto 40 feet in length!) are sharks, they are only whale sharksand prefer plankton over people anyday. They can be found off of the coast of the Philippines, Honduras, Indonesia, Madagascar and off of Mexico’s Yucatan Peninnsula. Isla Holbox, in Mexico’s Riviera Maya region, sees these gentle giants migrate through their waters each year from May to September. A different type of shark encounter entirely, many outfits in the Bahamas offer opportunities for vacationers to defy their basic human instincts and swim with some of the world’s fiercest predators in their natural environment. 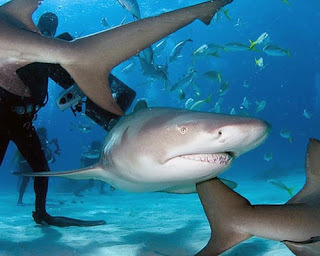 Shark dives and feeds can be found in almost every area of the Bahamas (West End, Grand Bahama is rumored to be the best location) and each offers a different experience seeing different species of shark. Caribbean Reef Sharks are most commonly seen, however, lucky divers may also spot Hammerheads, Tiger sharks, Bull sharks, Silky sharks and Lemon sharks. Most underwater shark experiences have divers done chain mail (protective shark suit) and orient themselves with their backs against a reef while they, or a guide, feed the sharks. Vacationers who want to swim with dolphins should look for opportunities where the dolphins are wild and free in their natural habitat, rather than with dolphins that are in captivity for the sole purpose of pulling tourists around all day. Hawaiihosts many of these dives, with their first priority being to respect and protect the wildlife. Dolphins are some of the most inquisitive, intelligent and playful animals in the world and will often approach swimmers and divers on their own – Sunlight on Waterin Kona, Hawaii boasts a 98% success rate of finding dolphins on their excursions! It is not uncommon for divers to get a bonus and also see Humpback whales, Manta Rays and sea turtles. Dolphins have been said to have a spiritual connection to humans, making this an experience that any vacationer will not soon forget.